Lord, today we rejoice that the Somali government is taking a stern step toward eliminating female genital mutilation (FGM) within its nation by prosecuting its first-ever FGM case. Lord, we know cultures are worth preserving. We know it is vital to respect people’s religious beliefs. 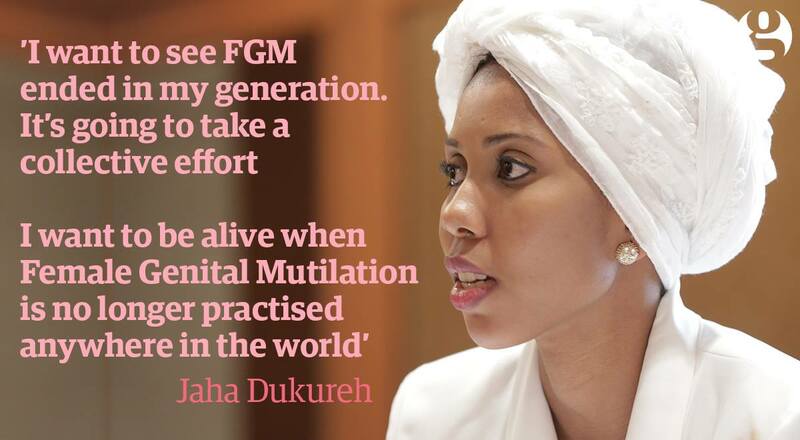 But we also know that FGM is the brutal maiming of young girls, and that it is actually life-threatening, as evidenced by the tragic death of 10-year-old Deeqa Dahir Nuur last week. We are thankful that Somalia's deputy prime minister Mahdi Mohamed Guuled was bold enough to declare that FGM is not a part of the nation’s religion and that it will soon be eliminated from the nation’s culture. We pray that other political, religious and community leaders will courageously speak out against this practice. We pray against the social pressure for parents to force their children into this torture. We pray for eyes to be opened to the brutality and senselessness of this practice. We do pray for this legal action, that it would ultimately lead to the creation of laws against FGM in Somalia. In Jesus’ name we pray, amen. Update: http://time.com/5396125/somalia-female-genital-mutilation-death/ Somali girls are still dying from FGM, even though it has been outlawed in their nation.